Magallana gigas, the sound-sensitive Pacific oyster. 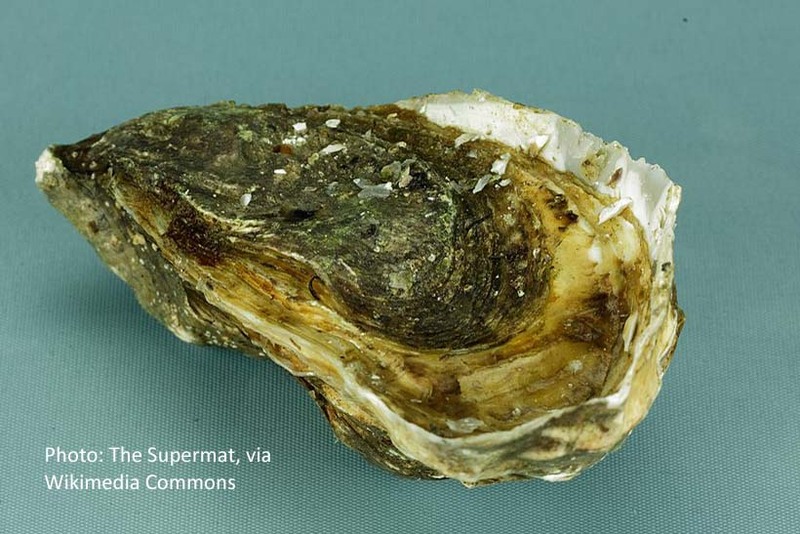 THE HEADLINE SOUNDS WHIMSICAL – Yes, oysters can ‘hear.’ They probably wish we’d clam up. But the concept is serious. A team of researchers in France have determined that oysters react to many of the sounds of underwater noise pollution, like the engines of passing ships, wind turbines and pile driving. Underwater noise pollution has long been a concern regarding whales and fishes. It’s been documented as troublesome for animals like cephalopods. The researchers suggest that ocean noise pollution may be a significant, undefined problem for many other forms of marine life, as well. Their study, The sense of hearing in the Pacific oyster, Magallana gigas, was published in the online science journal PLOSOne. Focusing on the Pacific oyster Magallana gigas (a significant commercial oyster found worldwide), the researchers measured the speed with which the oysters closed and reopened their shells when subjected to various noises. They found the bivalves significantly reactive to low sounds transmitted through water, like ship engines, but not to higher pitched noise from small boats and jet skis. They suggest that man-made noise may overwhelm the ability to hear sounds like water currents and rainfall that may provide cues to prepare for the arrival of the plankton they eat and spawning in a synchronized manner. To read the PlosOne article, click HERE. For a more reader friendly account by New York Times science writer Douglas Quenqa, click HERE.